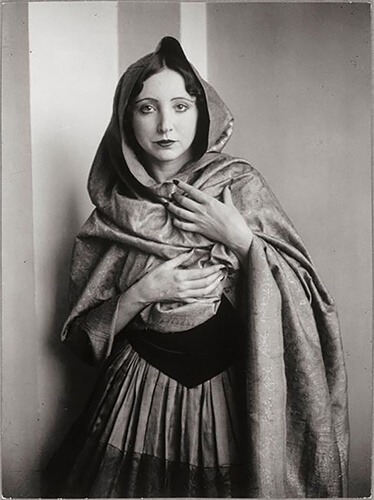 George Brassaï (pseudonym of Gyula Halász) was a Hungarian photographer, sculptor, and filmmaker who rose to international fame in France in the 20th century. He was one of the numerous Hungarian artists who flourished in Paris beginning between the World Wars. In the early 21st century, the discovery of more than 200 letters and hundreds of drawings and other items from the period 1940–1984 has provided scholars with material for understanding his later life and career. Gyula (Jules) Halasz (the Western order of his name) was born in Brassó, Transsylvania, Kingdom of Hungary (since 1920 Brasov, Romania), to an Armenian mother and a Hungarian father. He grew up speaking Hungarian. When he was three, his family lived in Paris for a year, while his father, a professor of French literature, taught at the Sorbonne. As a young man, Gyula Halász studied painting and sculpture at the Hungarian Academy of Fine Arts (Magyar Képzomuvészeti Egyetem) in Budapest. He joined a cavalry regiment of the Austro-Hungarian army, where he served until the end of the First World War. In 1920, Halász went to Berlin, where he worked as a journalist for the Hungarian papers Keleti and Napkelet. He started studies at the Berlin-Charlottenburg Academy of Fine Arts (Hochschule für Bildende Künste), now Universität der Künste Berlin. There he became friends with several older Hungarian artists and writers, including the painters Lajos Tihanyi and Bertalan Pór, and the writer Gyorgy Boloni, each of whom later moved to Paris and became part of the Hungarian circle. 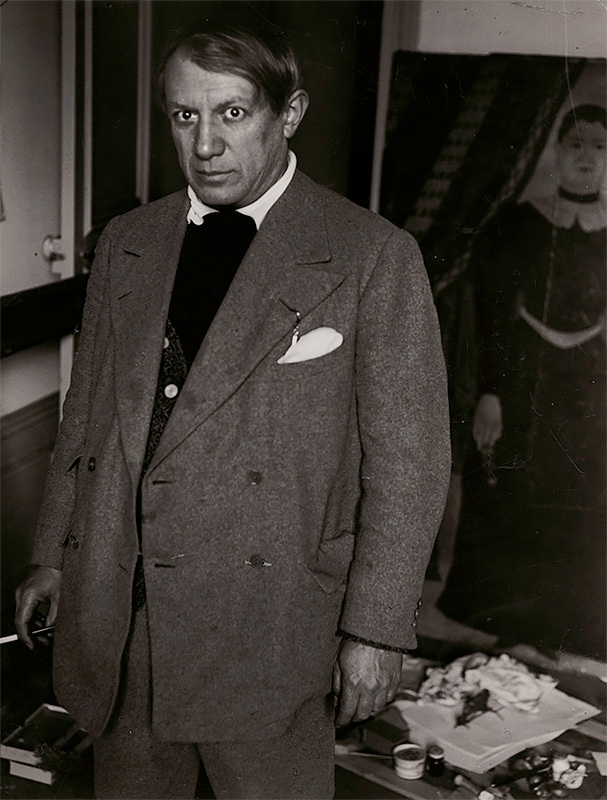 In 1924, Halasz moved to Paris to live, where he would stay for the rest of his life. To learn the French language, he began teaching himself by reading the works of Marcel Proust. Living among the gathering of young artists in the Montparnasse quarter, he took a job as a journalist. He soon became friends with the American writer Henry Miller, and the French writers Leon-Paul Fargue and Jacques Prévert. In the late 1920s, he lived in the same hotel as Tihanyi. Halasz's job and his love of the city, whose streets he often wandered late at night, led to photography. He first used it to supplement some of his articles for more money, but rapidly explored the city through this medium, in which he was tutored by his fellow Hungarian André Kertész. 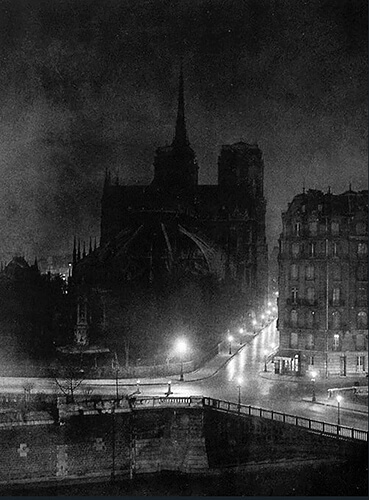 He later wrote that he used photography "in order to capture the beauty of streets and gardens in the rain and fog, and to capture Paris by night." Using the name of his birthplace, Gyula Halász went by the pseudonym "Brassaï," which means "from Brasso." 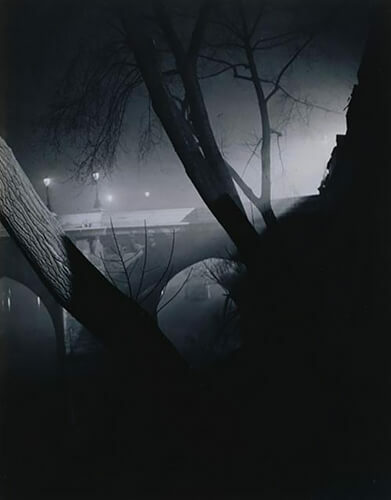 Brassaï captured the essence of the city in his photographs, published as his first collection in 1933 book entitled Paris de nuit (Paris by Night). His book gained great success, resulting in being called "the eye of Paris" in an essay by his friend Henry Miller. 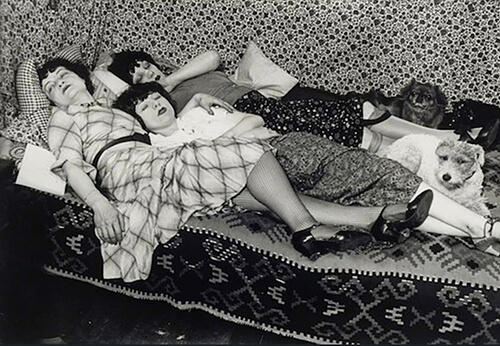 In addition to photos of the seedier side of Paris, Brassai portrayed scenes from the life of the city's high society, its intellectuals, its ballet, and the grand operas. He had been befriended by a French family who gave him access to the upper classes. 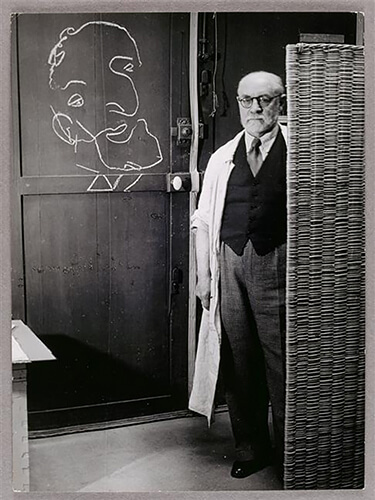 Brassai photographed many of his artist friends, including Salvador Dalí, Pablo Picasso, Henri Matisse, Alberto Giacometti, and several of the prominent writers of his time, such as Jean Genet and Henri Michaux. Young Hungarian artists continued to arrive in Paris through the 1930s and the Hungarian circle absorbed most of them. Kertèsz emigrated to New York in 1936. 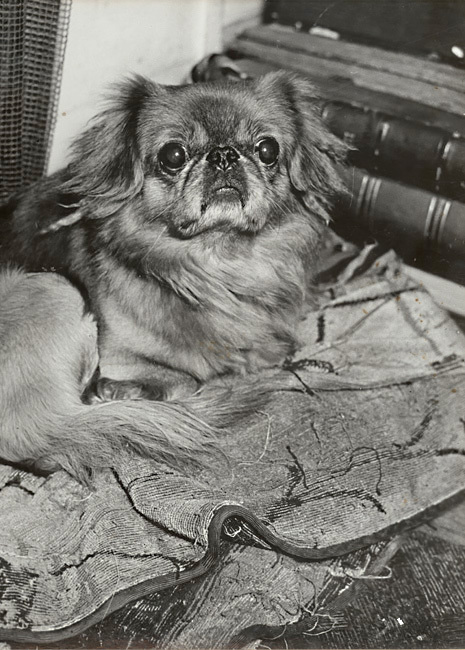 Brassai befriended many of the new arrivals, including Ervin Marton, a nephew of Tihanyi, whom he had been friends with since 1920. Marton developed his own reputation in street photography in the 1940s and 1950s. 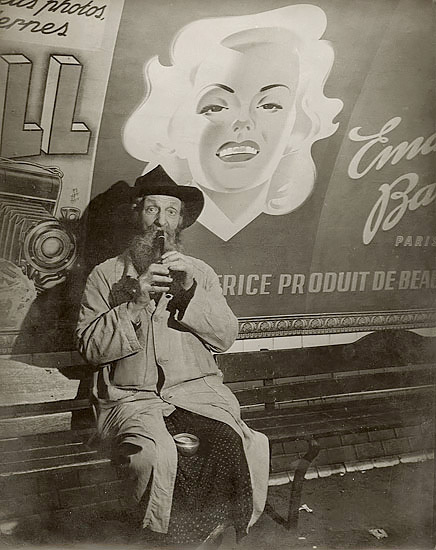 Brassaï continued to earn a living with commercial work, also taking photographs for the United States magazine Harper's Bazaar. He was a founding member of the Rapho agency, created in Paris by Charles Rado in 1933. 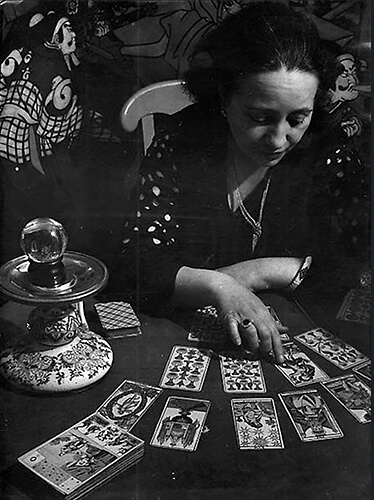 Brassaï's photographs brought him international fame. 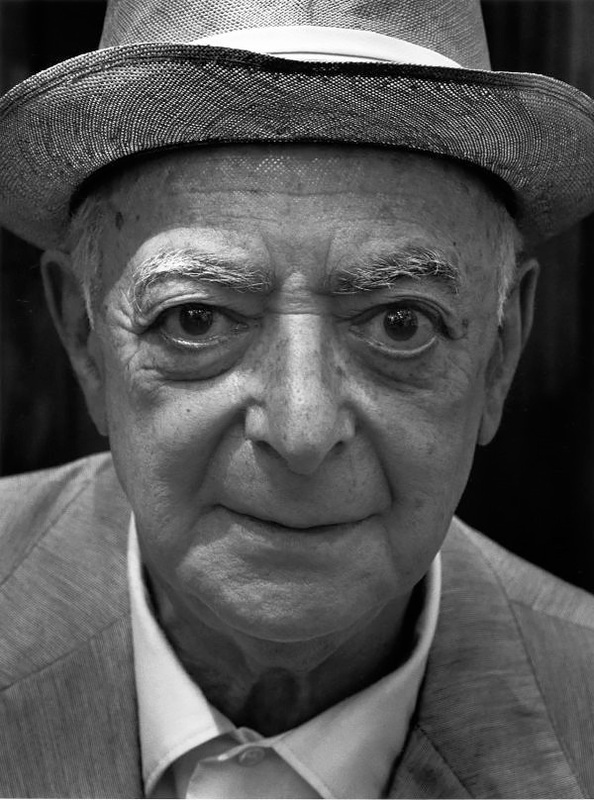 In 1948, he had a one-man show in the United States at the Museum of Modern Art (MOMA) in New York City, which traveled to the George Eastman House in Rochester, New York; and the Art Institute of Chicago, Illinois. MOMA exhibited more of Brassai's works in 1953, 1956, and 1968. He was presented at the Rencontres d'Arles festival (France) in 1970 (screening at the Théâtre Antique, "Brassaï" by Jean-Marie Drot), in 1972 (screening "Brassaï si, Vominino" by René Burri), and in 1974 (as guest of honour). 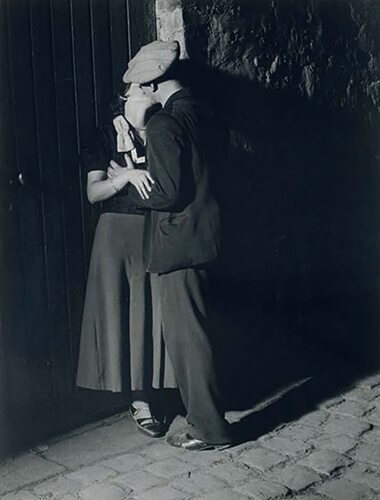 In 1948, Brassaï married Gilberte Boyer, a French woman. She worked with him in supporting his photography. 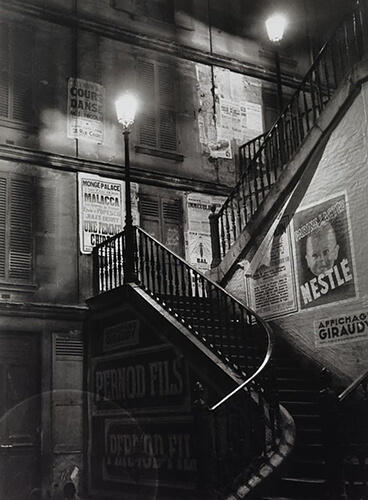 Fascinated by the night, which he found disconcerting, enigmatic, and suggestive, Brassaï photographed its every aspect, from police to prostitutes to the homeless to socialites, all in a dreamlike and mysterious manner. 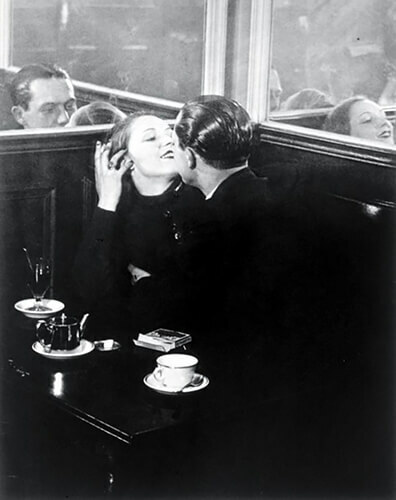 In sixty-four images, Brassaï succeeded in remarkably capturing this unique ambience. 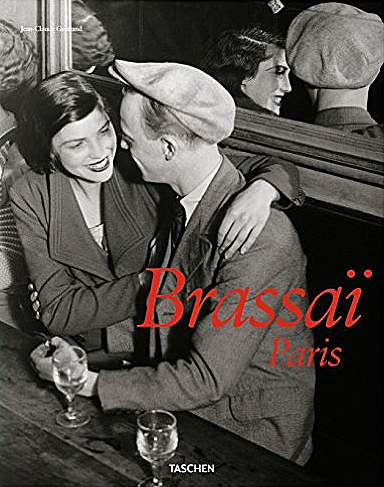 This book, meticulously assembled by Brassaï himself, signifies the birth of the artist. 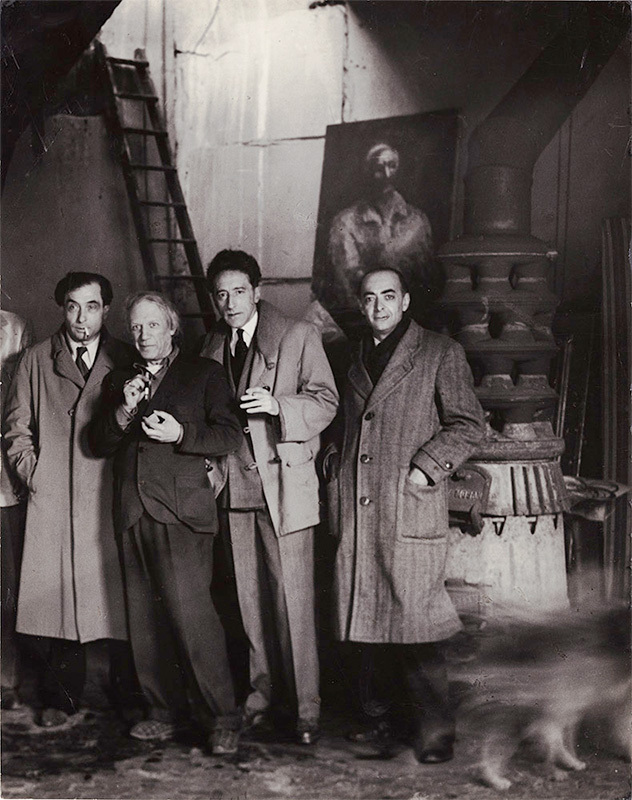 Brassaï, originally from Hungary, traveled to Paris in 1924, where he began to associate with the avant-garde artist community, in particular with Picasso and the Parisian surrealist circles. He quickly established himself as one of the most original photographers of his generation. A rare discovery of more than 150 previously unpublished photographs in black and white and in color, from a legendary photographer. 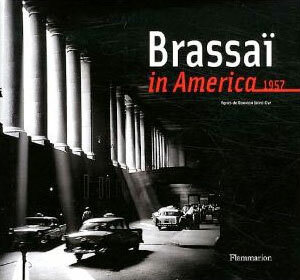 Despite strong personal and professional ties in the U.S.--Henry Miller, Harper's Bazaar's Carmel Snow, and Edward Steichen, who featured Brassai's work in many MoMA exhibitions--Brassai remained reticent about travel to the U.S. until 1957 when Holiday magazine offered generous compensation (and artistic freedom) to photograph New York and Louisiana. From the first symbolic image of this voyage--the Statue of Liberty appearing over the ship's prow--Brassai came under the spell of America and his photographs innately captured his new perspective. In New York, he was captivated by the graphic skyscrapers and the rhythmic to-ing and fro-ing of the crowds. 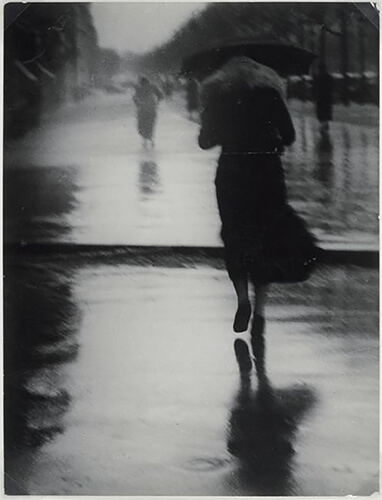 Unlike his static photographs of Paris--posing prostitutes, embracing lovers, sleeping street people--here he captured sequences of movement--children playing, fashionable women parading by, or the effects of light filtering through the urban architecture. In Louisiana, he continued to photograph more languorous sequences, but here he reveled in color--the copper skin of sunbathers, the pastel tones of prom dresses, the vibrant neon of amusement park attractions. 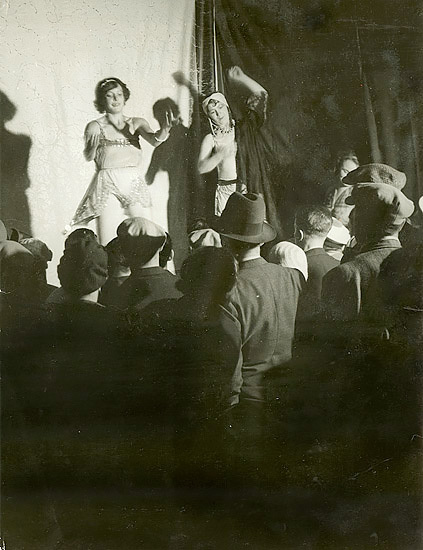 The New Orleans music halls, nightlife, women, and exotic vegetation recall scenes from 1930s Paris. This exuberant study of 1950s America offers the reader unprecedented access to Brassai's work, including previously unpublished color photography. 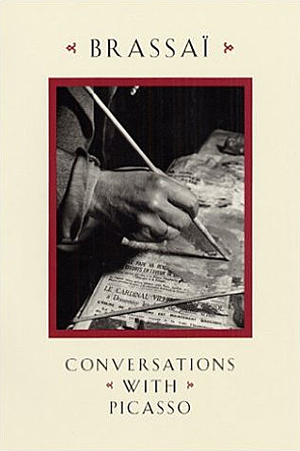 This volume contains some pictures from all or at least most of Brassai's books including LES SCULPTURES DE PICASSO, GRAFFITI, PICASSO & CO., HENRY MILLER: GRANDEUR NATURE and THE ARTISTS OF MY LIFE. 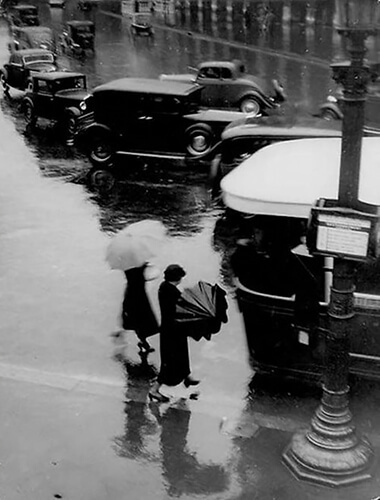 "Brassaï is a living eye," wrote Henry Miller of the Hungarian–born artist who adopted Paris after World War I and became one of its most celebrated photographers. 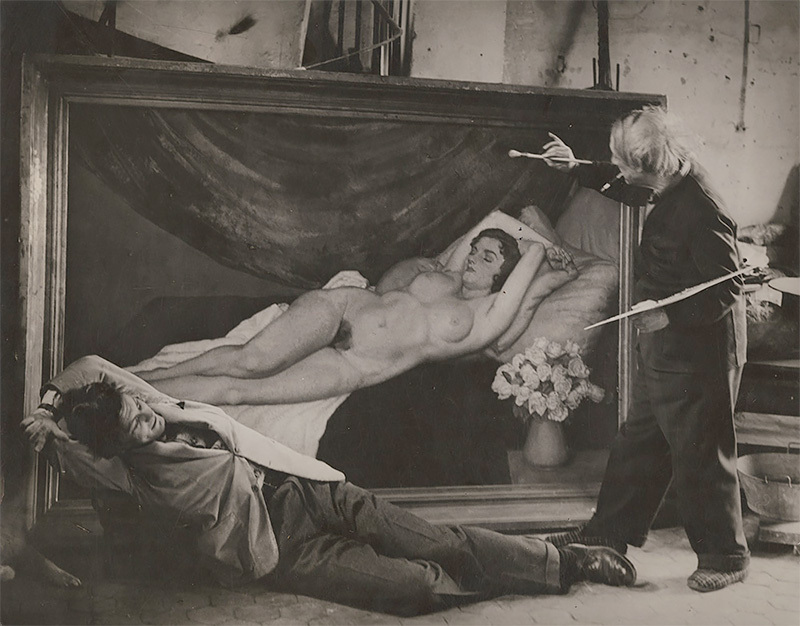 Originally a painter before he moved on to writing, sculpture, cinema and, most famously, photography, Brassaï (1899-1984) was a member of Paris’s cultural elite, counting Miller, Picasso, Sartre, Camus, and Cocteau, among his friends. Camera in hand, he scoured the streets and bars of Paris, unabashedly capturing the city’s inhabitants in their natural habitats. 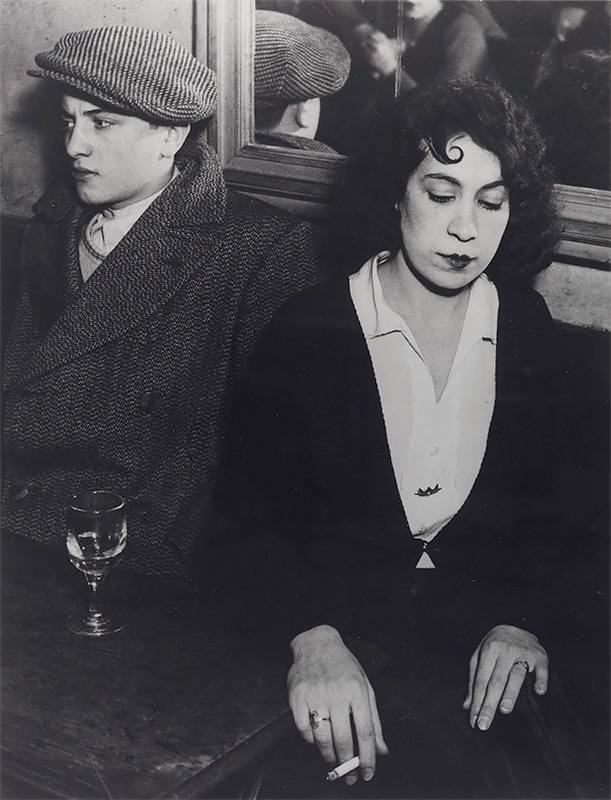 Prostitutes, hoodlums, and other ‘marginal’ characters were the most famous heroes of Brassaï’s moody, gritty photographs taken often by night. 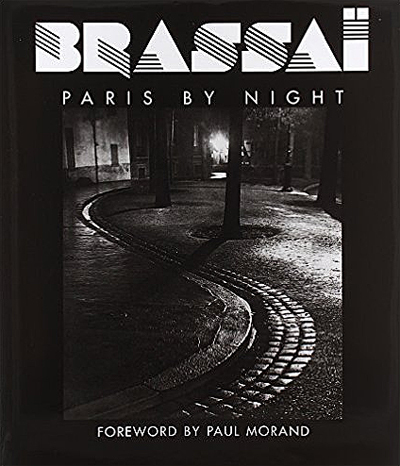 Including an extensive selection of Brassaï’s finest photographs and an essay describing his life and work, this book explores the world of Brassaï in thematic chapters: Minotaure magazine, Paris at Night, Secret Paris, Day Visions, Artists of My Life, and Graffiti and Transmutations.